Vijay is currently shooting for Thalapathy 63 directed by Atlee and produced by AGS Entertainment. It stars Nayanthara, Jackie Shroff, Kathir, Vivekh, Yogi Babu and others. Fans seem to gather around at the shooting spot waiting to see their most favourite star. Earlier, a video of Vijay saving fans by holding the barrier from falling went viral now, video of fans hugging their Thalapathy is going viral on the internet. Such videos show the immense love the fans have for their star and the care and affection the actor has towards his fans. This video shows how hugging their Thalapathy is an emotional moment for the fans. Thalapathy 63 is Vijay’s third film with Atlee after Theri, Mersal. 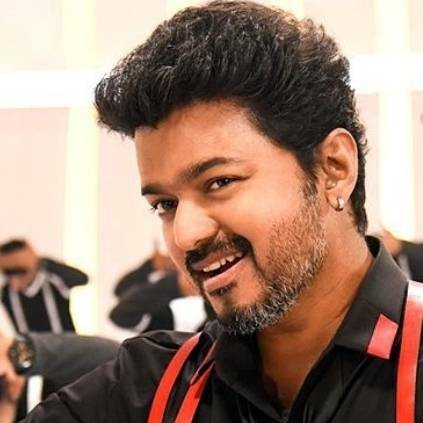 Vijay’s recent Sarkar with AR Murugadoss was received well. So Thalapathy 63 is highly anticipated and fans are eagerly waiting for the release date reveal. People looking for online information on AGS Entertainment, Atlee, Thalapathy 63, Vijay will find this news story useful.